Tuesday, December 18, 2018 – 8:00 a.m.
We applaud Greene letting us know they are meeting. We anticipate this is regarding the hiring of their new County administrator which is absolutely a proper use of the closed meeting provisions provided by Virginia State Code. 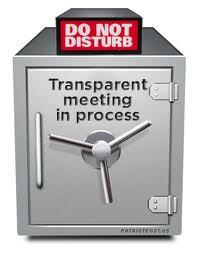 We believe holding the meeting at an “Undisclosed Location” is a violation of the **spirit but not the letter [added at 4:13 pm nw]** of public meetings law. After publishing this post, I learned of a different code section that explicitly permits closed meetings at an undisclosed location. Greene County Board of Supervisors is hosting a legal meeting at an undisclosed location. Despite being just as legal as the secret public meeting was in 2010 — it does not make it right. Yogi Berra said it best, “Deja Vu all over again”. The primary reason an undisclosed location is permitted by law is to protect the privacy of the applicants for the position. These individuals are not Greene County employees, not subject to the provisions of the Freedom of Information Act and have a right to some dignity and discretion when they are interviewing. For example, perhaps their current employer doesn’t know they are looking for a job, in which case they certainly don’t want that employer reading it online or in a newspaper. Citizens interested in more information are free to contact their elected representatives on the board or the Interim County Administrator.